All-American Girls Professional Basball League (1943-1954) - Dedicated to the women who played in the All-American Girls Professional Baseball League from 1943 to 1954. Amateur Softball Association - Official site. Ballparks - Facts, figures and photos about ballparks, stadiums and arenas. 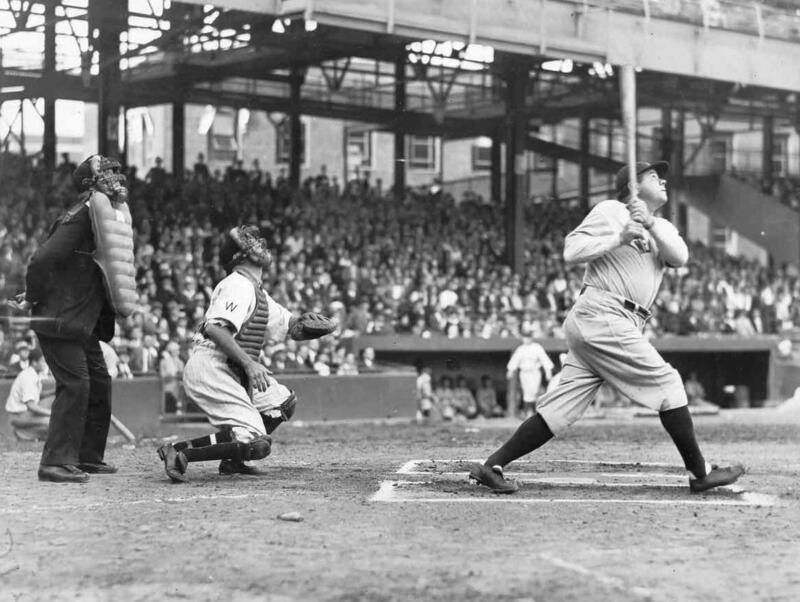 Baseball Almanac - Baseball facts, stories, famous firsts, quotes, autographs, stats, records. Baseball Cards 1887-1914 - Prints and Photographs Division, Library of Congress. Baseball Index - A catalog of baseball literature. Baseball Prospectus Online - In-depth analysis, neural net hitter projections, guest essays, statistics. Baseball Think Factory - Baseball news, articles and features. 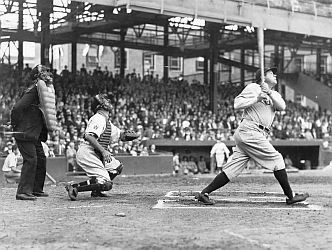 Baseball-Reference - Find statistics from 1871 to the present for major league players, teams, and leagues. Complete post-season and managerial data is included as well along with other interesting features including The Baseball Travel Guide where you can find all the baseball close to you from Akron to Yuma. Business of Baseball - Research tools for learning more about the business of professional baseball. Major League Baseball - Official site. Also see MLB Blogs and Post Season 2015 Schedule. National Baseball Hall of Fame and Museum - Cooperstown, NY. Peter Gammons - Weekly baseball column. San Francisco Giants - Official site. Small Ball: A Little League Story - With 6400 Little League teams in the U.S. all vying to be one of eight that get to play in the Little League World Series every summer, the chances of finding a team that would go all the way would seem to be slim to none. But filmmakers Louis Alvarez and Andrew Kolker were lucky: the twelve kids from Aptos, California who they started filming in May 2002 turned out to be amazing players who survived four grueling tournaments and found themselves at the Nirvana of youth sports: Williamsport, Pennsylvania, home of the World Series. The story of their journey is the subject of Kolker and Alvarez' feature documentary for public television. Society for American Baseball Research (SABR) - Established in Cooperstown, New York in August, 1971, with a mission to foster the study of baseball, its history, its present, and its future. STATS - A leading independent sports information and statistical analysis company. WikiProject Baseball - A collaborative subproject of Wikipedia Sports. Wrigley Field - A baseball stadium in Chicago, Illinois, United States that has served as the home ballpark of the Chicago Cubs since 1916. Official page here. YES Network: New York Yankees - New York Yankees news, scores, stats, highlights and more . This webpage last updated on Wednesday, January 6, 2016 7:01 PM.